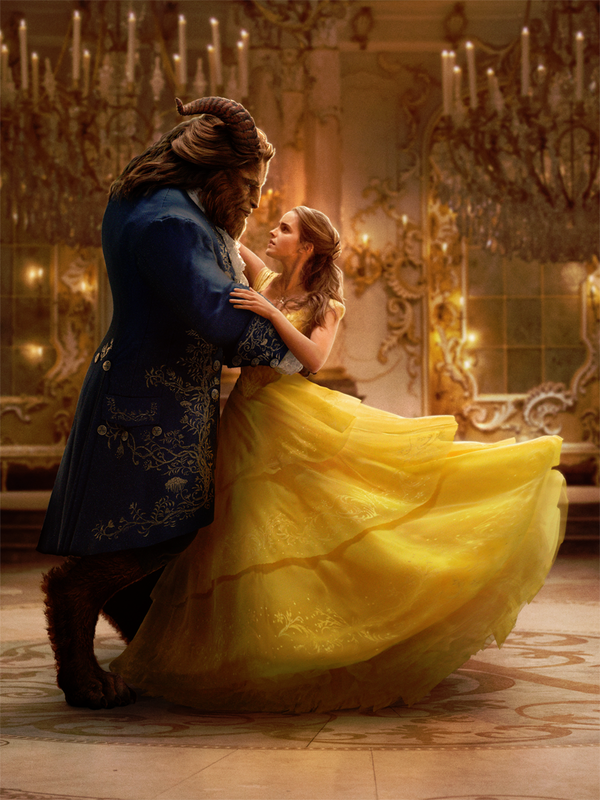 I am so excited to share this exclusive Beauty and the Beast interview with you of Emma Watson and Dan Stevens. I’m sure many of you know Emma as Hermione in the Harry Potter movie series. If you’re a huge Downtown Abbey fan, like me, then you know Dan as Matthew Crawley. As bloggers we try to make our interviews unique for the celebrities giving them a round of applause as they walk in the room. We want them to feel comfortable and not like normal press. You could instantly feel Dan’s charm as he walked in the room. Emma looked exquisite in a monochrome Oscar de la Renta shift dress. We screened Beauty and the Beast the night before to be prepared with questions for the two. First of all, the movie is outstanding. It is a must-see for those young and old. I can’t wait to take my 11-year-old son to the movie this week. 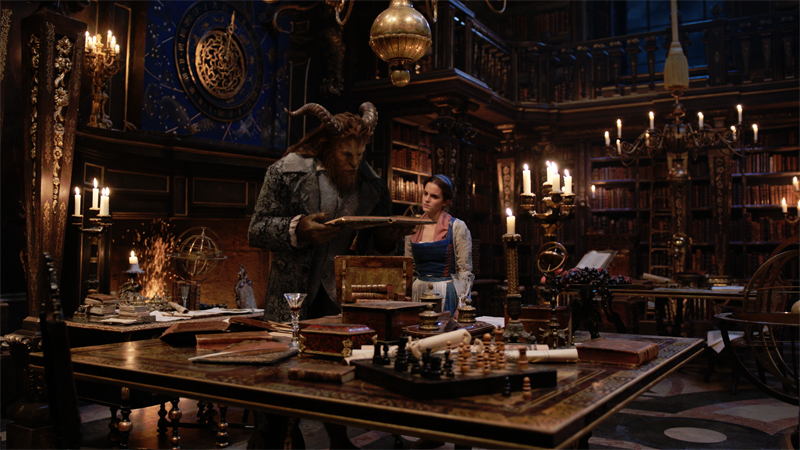 To be able to interview the Beauty/Belle (Emma Watson) and the Beast (Dan Stevens) was a very memorable experience. Before Emma had the part of Belle, Disney really wanted to explore whether or not she could sing. She submitted an audition tape to Disney which was clearly exceptional and landed her the part of Belle. 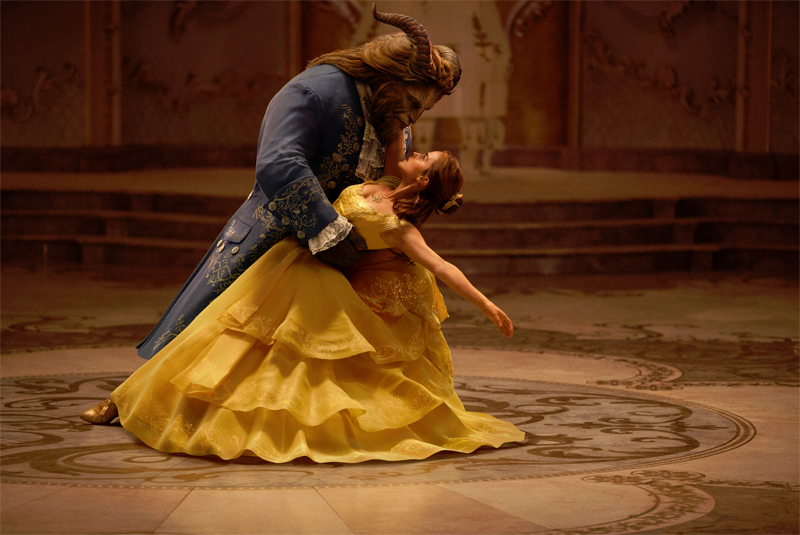 Dan submitted the Beast song from the Broadway musical on tape for Bill Condon (Director). 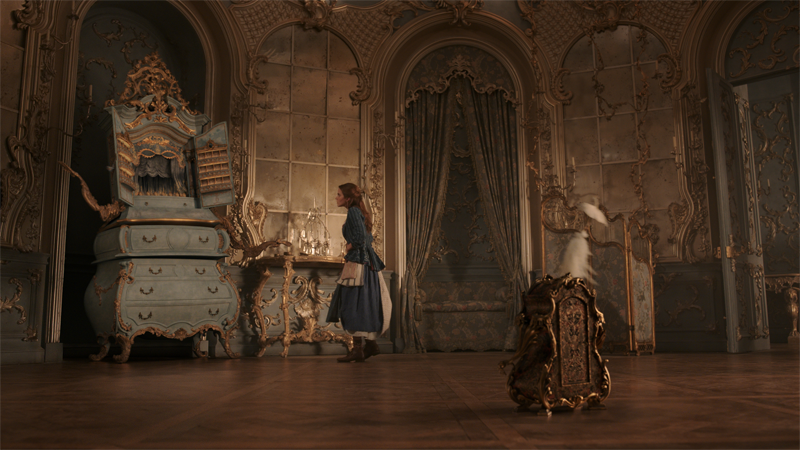 A lot of thought went into Belle’s costume and Emma was heavily involved in the dress. She wore boots, scruffy socks and bloomers underneath her skirt so she could swing her leg over a horse. Besides her tools, her tool belt had to carry her books and other items. Belle also wears a ring on her finger which is one Emma’s mother gave her. The costume really brought them into character. There’s so many unique details that go into every costume. Belle’s dress had to serve a number of different purposes and functions. Dan said Emma came over to his house in London for dinner with his family one night and they spoke a lot about the dress. Dan’s five-year-old daughter, Willow, overheard their conversation and came back a half hour later with five different dress designs on a piece of paper. Emma was very sweet and sat down with Willow to select a dress. A few weeks later Willow was on set and saw Emma in the finished dress. In Willow’s mind she designed the dress. Very sweet! Dan’s costume was much different. He actually wore a forty pound muscle suit on stilts covered in gray lycra to be transformed into the Beast. 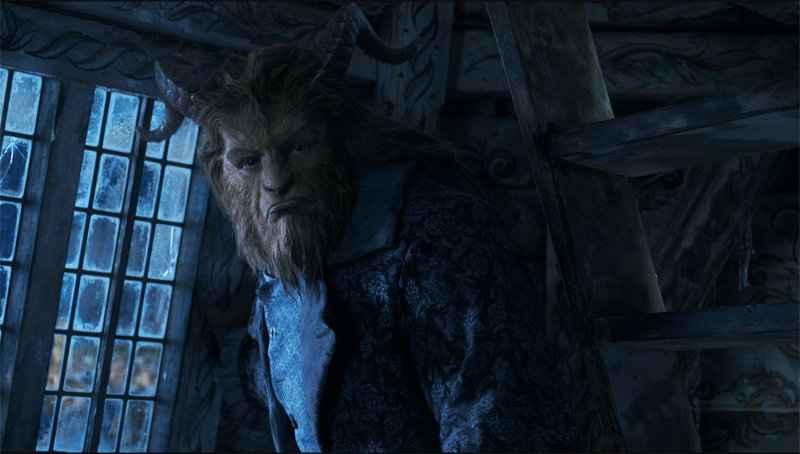 The Beast is actually a full computer-generated character, created through Dan’s performance and facial-capture technology. The facial-capture was done separately. Every two weeks Dan would go in a booth where ten thousand UV dots would be sprayed on his face. Twenty-seven little cameras would capture everything he had been doing for the past two weeks just with his face. That information was turned digitally into the Beast’s face and mapped onto the body that he had been working on the set. When you watch the dance scenes Dan is actually dancing on stilts. 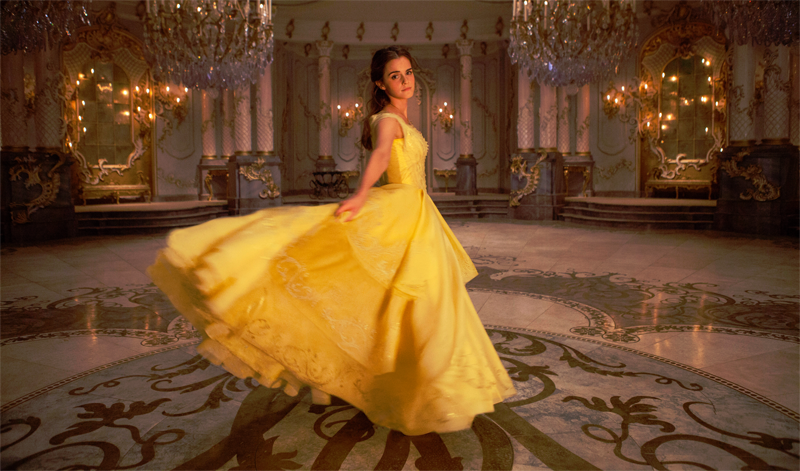 There are three dance scenes in the film and a song and dance by Belle walking through the village that was choreographed. For the iconic waltz scene Emma and Dan learned it in a four-step process with different partners and then together. Dan then graduated to dancing with the stilts. Can you imagine? That would be so hard! Emma and Dan said the dance scenes really allowed them to bond. It really forced them to break down barriers and get to know one another. Of course, Dan on stilts in the monstrous muscle suit brought a lot of laughs too! 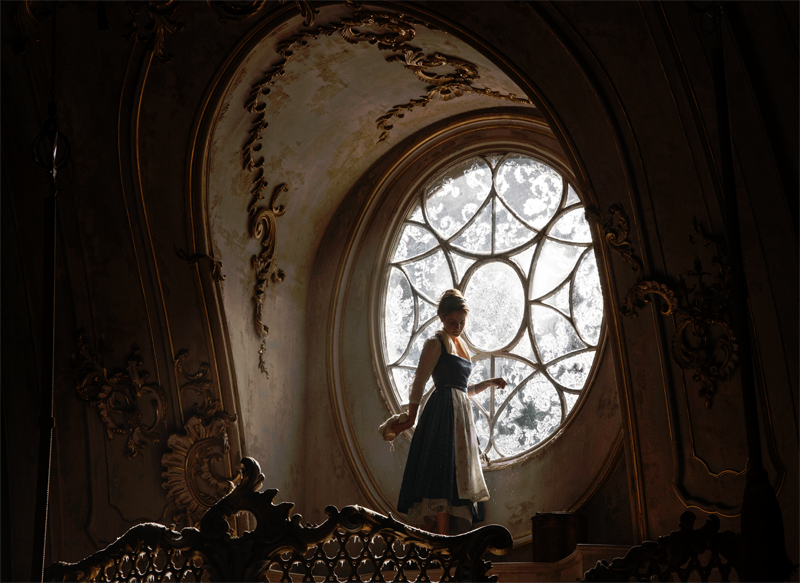 Belle is one of the few female Disney characters that’s not a princess. She’s an ordinary girl from an ordinary village with no aspirations to be a princess or marry a prince. It’s what makes her so special and relatable for little girls. In one of the scenes the chest of draws (Audra) says to Belle they’ll make her a gown fit for a princess. Emma wanted to include the line that Belle isn’t a princess which she felt was protecting and defending Belle to make it more truthful and faithful to a very independent young woman. As I’m sure you know, Emma plays Hermione in the Harry Potter series. Both Hermione and Belle are very strong characters. Emma wanted to keep the story and Belle has true to the original as possible. They even designed a washing machine that allows Belle more time to read and teach in the village. In high school Emma never felt like she fit in. She said her mom told her that it might feel like the end of the world right now, that you don’t quite fit, but one day, you might be really grateful for that. It was hard for her to see at the time there’s a big, wide world out there with people who have diverse interests, perspectives and opinions. Emma said, “You just have to go out there and find your tribe; find your kindred spirits and people that resonate with you.” Although it didn’t necessarily come overnight, Emma looks back now and is really grateful she was different and a bit odd. Emma is such an interesting individual, very educated and an English literature major. She even has her own family book club, Our Shared Shelf. Emma reads as many books and essays about equality as she can get her hands on. 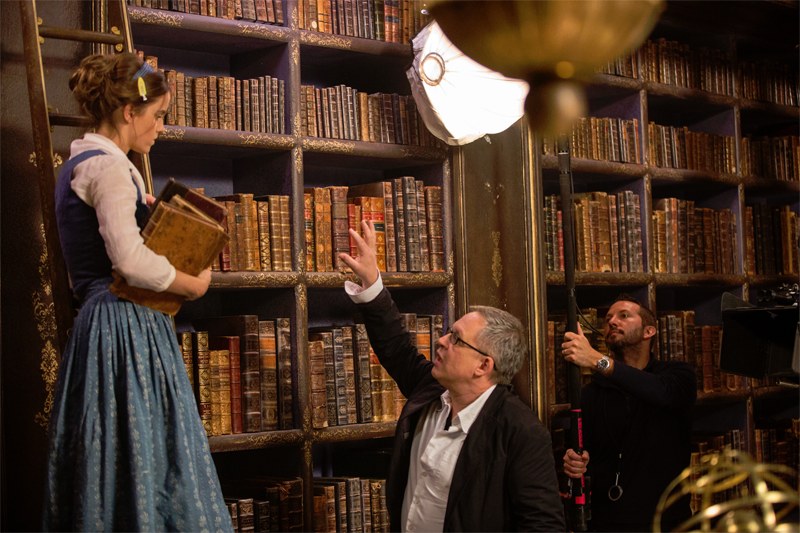 In our interview with Bill Condon he said that Emma even brought a stack of books to one of their first meetings. We asked Emma what book she would recommend to middle school girls and she quickly suggested Are You There God? It’s Me, Margaret by Judy Blume. Emma wants women’s voices included in curriculum and female artists celebrated. Dan was actually one of the first people to review Caitlin Moran’s book, How to be a Woman, which is also one of the books Emma chose for her club. She was so interested to find that out about him. Dan even wrote a review of it for one of their English newspapers. Coming into the project Dan was so excited by the speech Emma had given at the UN, and he wanted to make sure that they were collaborators and exploring the masculine and the feminine energies that are in this movie – how to celebrate them both; how to serve them both; how to make sure that they interact in a way which is really dynamic and fun for people to watch.